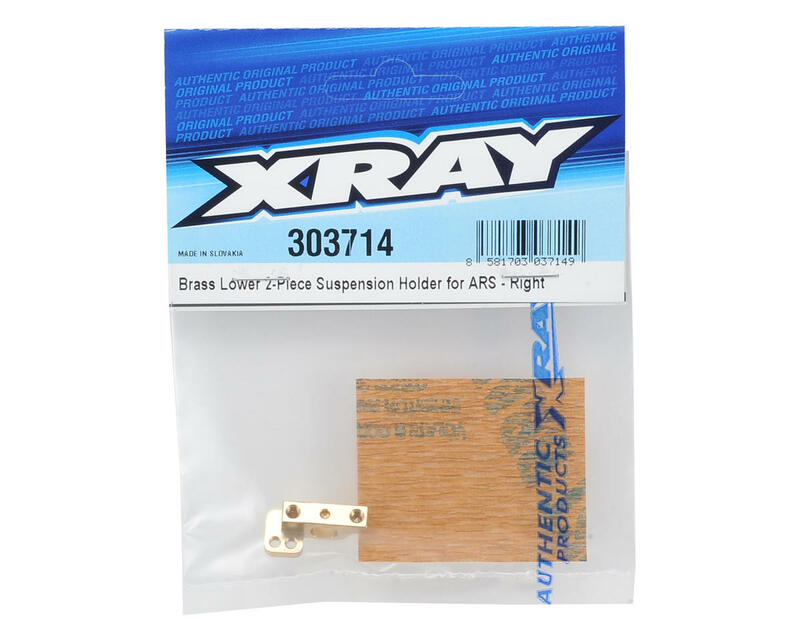 The XRAY T4 ARS Brass Lower Right Suspension Holder is compatible with both standard rear suspension, and cars equipped with ARS with extra roll center positions. When the left and right side blocks are combined, the brass ARS holder adds an additional 12 grams of weight, helping to bring the car up to the minimum weight limit. Using the brass holders in the Rear improves the car’s rotation and steering, and is recommended for medium-traction conditions. Plus, it is recommended that you use this in place of chassis-mounted weights that can negatively influence chassis flex. 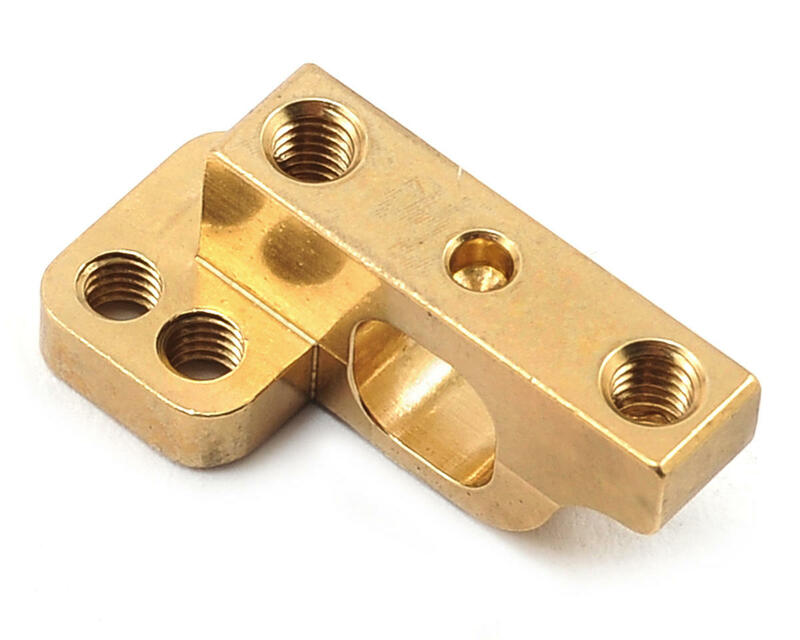 NOTE: Must be used with XRA303715 left Brass Lower 2-Piece Suspension Holder for ARS.